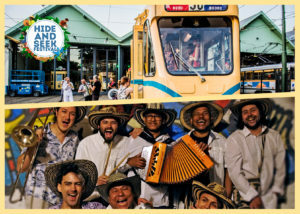 From the 20th to the 26th of August Muziekpublique’s Hide & Seek Festival will open the doors of unusual and impressive locations in Brussels for a series of acoustic concerts of traditional world music. Enjoy an afternoon concert in combination with a guided tour presented by Brukselbinnenstebuiten or let yourself be transported at night by traditional world music in an out-of-the-ordinary location. 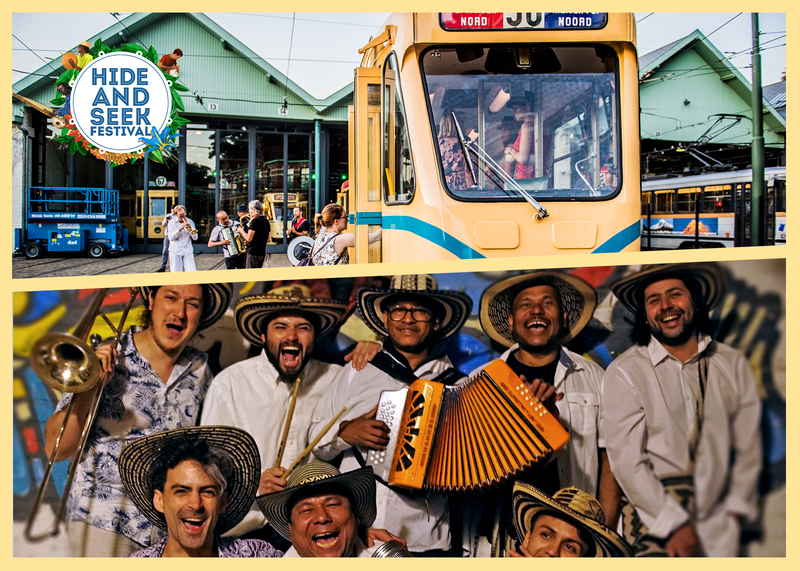 On 28/08, you can take part in a journey through Brussels in a historical tram while enjoying the Colombian sounds and cumbia rhythms of Awa Keme Kemo. Eight musicians from Colombia, Chile, France and Argentina revive the tropical folklore of the Caribbean coast with percussion, accordion, vocals and a solid copper section. This evening will certainly leave a broad smile on your face!